A man of poise and integrity, Isaac Toucey, later contemporaries maintained, looked either like Andrew Jackson or President James K. Polk. There is some question as to Isaac’s correct ancestry. Most published sources indicate that he was born in Newtown, Connecticut on November 5, 1796. However, while some sources including Biographical Directory of the Governors of the United States andAmerican National Biography state that he was the son of Zalmon and Phoebe (Booth) Toucey, the Toucey genealogy indicates that he was the son of Oliver, Jr. and Comfort (Peck) Toucey. The Connecticut State Library’s Hale Collection of Connecticut Cemetery Inscriptions shows his birth date as Dec. 5, 1796 rather than November 5, 1796. No entries pertaining to his birth are included in the State Library’s Barbour Collection and probate information is inconclusive, but an obituary notice for Comfort Toucey of Newtown [Connecticut] in the March 4, 1848 issue of the Connecticut Courant indicates that she is the mother of “Hon. Isaac Tousey of this city [Hartford] and relict of the late Oliver Toucey”. This suggests that Isaac’s parents were Oliver and Comfort (Peck) Toucey. In either case, the Toucey family, descendants of Richard Tousey, one of the first settlers of both Old Saybrook and Wethersfield, had a heritage in Connecticut politics. The Rev. Thomas Toucey was Newtown’s first minister, its first representative to the General Court of Connecticut, a Captain in the King’s Army, and a justice of the peace for 33 years. According to a July 30, 1869 article in the Hartford Daily Times, “Young Toucey was early destined for the bar. His friends fancied that they discovered in his mind, even as developed in the district school, the acumen and nice discrimination of a lawyer.” The article goes on to indicate that “He commenced his classical studies under private instructions; but in the year 1810 was removed to a school of high repute in the village of Westport, where he continued nearly four years.” He then went to Hartford to study law and was fortunate to be able to study under Asa Chapman, who was later a judge of the Connecticut Supreme Court of Errors. Toucey was admitted to the bar in 1818 and began a career as an able and much-respected lawyer. From 1825 until 1835 he had his own law practice in Hartford. Toucey’s first political office was that of state’s attorney for Hartford County, 1822-1835. He gained status in the community during those years, and in 1825, in the company of several distinguished men including Roger Sherman, Thomas Gaudallet, and Samuel Huntington, founded the Connecticut Historical Society. He married Catherine Nichols in Hartford on October 28, 1827. The couple never had any children. The years of 1835-1839 saw Isaac Toucey serving as a Democratic member of the U.S. House of Representatives. He was not re-elected in 1838, and he returned to Hartford. There he practiced law until 1842, when he was elected to another two-year term as state’s attorney for Hartford County. He ran unsuccessfully for Governor of Connecticut in 1845 as a Democrat. In 1846 he ran again, and this time because no candidate received a majority of the votes, the final decision went to the State Legislature, which elected him governor by a vote of 124 to 117. The political climate was such that Toucey was able to accomplish little as governor. He was successful in insuring passage of an act that forbade illegal activities during elections. However, contending that it would block river access to Hartford, he vetoed a bill that would have granted a charter for the construction of a bridge over the Connecticut River at Hartford. The General Assembly overrode his veto. The next year, 1847, Toucey did not receive the Democratic Party’s nomination for governor. Toucey was a lawyer who believed in a strict interpretation of the U.S. Constitution and that governmental projects and procedures should be in exact agreement with that document. These views were similar to those of James K. Polk, a fellow Democrat who had been Speaker of the U.S. House of Representatives while Toucey was a Representative there for Connecticut. Elected to the Presidency in 1844, President Polk toured New England in 1847 and included Toucey as a part of his entourage. He was so impressed with Toucey that when the position of U.S. Attorney General became vacant, he asked him to fill it. Toucey worked as U.S. Attorney General from June 3, 1848 until the end of Polk’s term in January of 1849. At one point during this six-month period he was even appointed as Acting Secretary of State. Toucey continued his political career by serving in the Connecticut Senate in 1850-1851 and briefly in 1852 in the Connecticut House of Representatives (from which he resigned on May 13 of that year to serve in the U.S. Senate.) He served in the U.S. Senate from 1852-1857. These were years of great controversy over slavery and many important acts were debated at that time. Toucey believed that the Constitution favored states’ rights, and debated all issues from that point of view. This often caused him to debate against some popular acts. 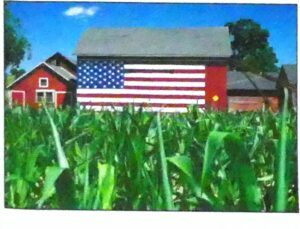 For example, he felt that the federal government had no right to give or sell lands in a state. It also put him on the same side as the Southern states and the pro-slavery movement, and made him unpopular with most other Connecticut politicians and legislators. The election of James Buchanan in 1857, however, ensured Toucey a continued place in the federal government. Buchanan and Toucey, Democrats and friends, had come to Washington together in 1835. Toucey was also probably Buchanan’s campaign manager in New England. The result was that President Buchanan appointed Isaac Toucey to be the Secretary of the Navy in 1857. The Navy that Toucey inherited was out-of-date, in poor condition, and small. Appropriations had previously been requested from Congress to improve it but were never granted. Toucey continued to ask for funds but with no success. The national financial crisis brought about by the Panic of 1857 actually caused Congress to decrease its funding of the Navy. The poor funding, the poor condition of the fleet, and an event from 1855 combined to create conditions that would later backfire on Isaac Toucey. At that time the U.S. Navy kept ships in many areas in order to protect the rights of U.S. citizens. In 1855 a dictator in Paraguay had acted against the USS Water Witch, an American steamship there. Late in 1858 President Buchanan decided to force the dictator to show respect for America by sending an expedition, and Congress approved the venture. All went well, and the incident was settled peacefully, but the ships of the special expedition remained in the area of South and Central America during 1859 and 1860. During those same years the United States Congress was finding no lasting solutions to the problems of states’ rights and slavery. Political tensions were high, and with the election of Abraham Lincoln in the fall of 1860 a national crisis was reached. On December 10, the Secretary of the Treasury, a Southerner, resigned and Toucey was appointed to fill his place on an interim basis for two days while still serving as Secretary of the Navy. But when South Carolina withdrew from the Union on December 20, 1860, other southern states began to follow. With the beginning of Abraham Lincoln’s administration in 1861, Toucey returned to Hartford and his private law practice, refusing to re-enter politics. He even refused an appointment to the U.S. Supreme Court. But when the Civil War began in April 1861, Toucey’s sympathy for some of the political issues championed by Southerners, such as states’ rights, and his tenure as Secretary of the Navy came back to haunt him. It was generally felt that it was his fault that the Navy was not prepared for war. Because of the Navy vessels then in South and Central American waters, he was accused of manipulating U.S. ships to the later advantage of the Confederates. An 1864 investigation revealed that he had created a plan of action in case of war, which President Buchanan had refused to implement. The investigation cleared Toucey of all charges. Still, people continued to question his loyalty to the Union cause during the Civil War, and in Connecticut the portrait of him as governor was removed from public display. The perceived public image of him as Southern sympathizer completely overshadowed the two major accomplishments of his term as Secretary of the Navy-laying the foundation for the modernization of the Navy and the Navy’s participation in laying the first transatlantic cable (1858-1859). Isaac Toucey had become a trustee of Trinity College in Hartford in 1860. Once out of politics, he returned to Hartford, and became more involved with Trinity, establishing two scholarships. He died on July 30, 1869 and is buried in Hartford’s Cedar Hill Cemetery. His wife, Catherine (Nichols) Toucey, died on August 13, 1871 and is buried next to him. The Hale Collection of Connecticut Cemetery Inscriptions erroneously transcribes their surname as “Courry” and his first name as “Isaar”. However, burial records of Cedar Hill Cemetery (at the cemetery, 453 Fairfield Ave., Hartford, CT 06114, phone 1-860-956-3311) show Isaac and Catherine Toucey to be buried in Section 1, Lot 1, along with Catherine’s relatives Emily Tisdale, Cyprian Nichols, and Mary Nichols. The cemetery notes only refer to him as an “attorney”, which is in keeping with the cloud that still hung over him even at the time of his death. Later historians (c.f. Schroeder), seeing his life in perspective, have seen him as a man of integrity and a true statesman. A large share of his estate was left to Trinity College. Garrity, John A. and Mark C. Carnes, eds. American National Biography. New York: Oxford University Press, 1999, s.v. “Toucey, Isaac” [CSL call number GIS Ref CT 213 .A68 1999]. Loomis, Dwight and J. Gilbert Calhoun, eds. Judicial and Civil History of Connecticut. Boston: 1895, pp. 259-60 [CSL call number F 93 .L86]. Morse, Jarvis Means. 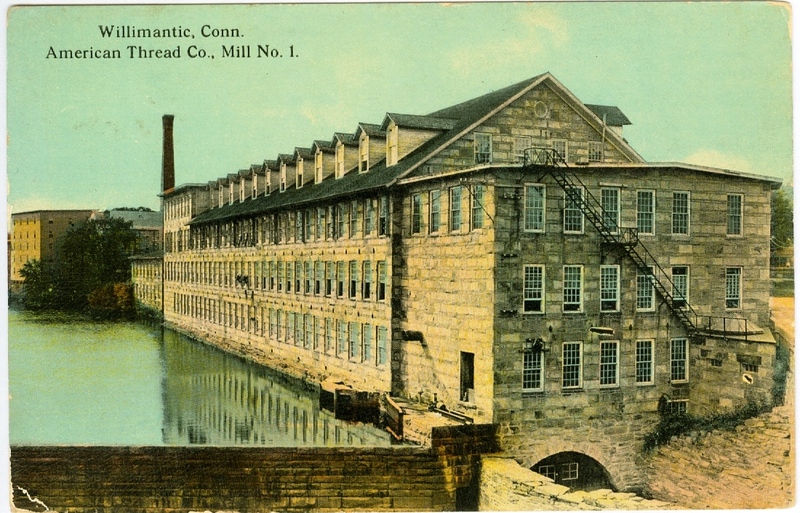 A Neglected Period of Connecticut’s History, 1818-1850. New Haven: Yale University Press, 1933 [CSL call number F 99 .M78]. Niven, John. Gideon Welles: Lincoln’s Secretary of the Navy. New York: Oxford University Press, 1973 [CSL call number E 467.1 .W46 N58]. “Obituary,” Hartford Courant July 31, 1869. Rose, Theodore Cuyler. The Tousey Family in America. Elmira, NY: The Osborne Press, 1916 [CSL call number CS 71 .T725 1916]. Schroeder, A. Reed. Isaac Toucey of Connecticut. Thesis, 1946. Trinity College, Hartford, CT [CSL call number SpecColl F 99 .T68 S37 1946]. Shipman, William D. “Obituary Notice of Isaac Toucey.” Connecticut Reports: Cases Argued and Determined in the Supreme Court of Errors, vol. 36, pp. 587-588 [CSL call number KFC 3645 .A2]. Sobel, Robert and John Raimo. Biographical Directory of the Governors of the United States, 1789-1978. Westport, CT: Meckler Books, 1978 [CSL call number GIS Ref E 176 .B573]. Treese, Joel D., ed. Biographical Directory of the American Congress, 1774-1996… Alexandria, VA: CQ Staff Directories, 1996 [CSL call noumber GIS Ref JK 1010 .A5 1996]. World Book Encyclopedia. 1996 ed. Chicago: World Book, Inc., 1996, s.v. “Polk, James Knox,” vol. 15, pp. 640-644. Fitch, John (1783-1845). Letters to Isaac Toucey and miscellaneous family papers, 176?-1838. 226 items, in 2 folders [CSL call number Main Vault 920 F553p]. Includes letters from David Daggett (1), Thomas Day (6), John Fitch (4), Nathan Smith (3) and Isaac Toucey (1). Also includes letters relating to the beginnings of the silk industry in Mansfield, CT 1824?-1828? Hoadley, Charles Jeremy. (1828-1900) Letter from the State Library of Connecticut, Hartford, CT Oct. 4, 1861, re. 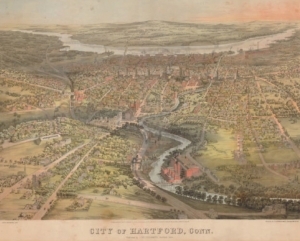 Hartford and CT in the first year of the Civil War, with references to arms manufacture at Sharp’s rifle and Colt’s pistol works, mention of the Patriots’ League, Isaac Toucey, etc. 4 p. [CSL call number Main Vault 973.7 H65]. Sherman, Roger Minott (1773-1869). Letters from Roger Sherman Baldwin, Aaron Burr, David Daggett, Theodore Dwight, Stephen Titus Hosmer, William Lucius Storrs, Zephaniah Swift, Isaac Toucey, Thomas S. Williams, and others; also a few letters written by Sherman, and two cancelled checks, 1813-1842. 36 ms., letters [CSL call number Main Vault 920 Sh57L]. RG5, Records of the Governors. 24 August 1846 Alexander Law & others to Dr. John Bissell. Bill for legal fees. Governors’ Military Correspondence. Box 1. Folder 14, “Isaac Toucey” (11 items). RG 69:62, Toucey, Isaac (1796-1869). Correspondence, personal, and legal papers of Isaac Toucey, Hartford CT lawyer, congressman, Connecticut governor and U.S. cabinet official, and his wife, Catharine (Nichols) Toucey, 1831-1870. 1 ft. 3 in. Includes correspondence with James K. Polk, Franklin Pierce, James Buchanan, and Lydia H. Sigourney. Gift of Mr. and Mrs. C. Frederick Beach, 1840 and 1942. This portrait by an unknown artist is 38 inches by 45 inches in its frame. It was removed from display during the Civil War (1861-1865) as the Connecticut Legislature was uncertain if Toucey was loyal to the Union. The portrait of Gov. Thomas Seymour (1850-1853) was also removed during the Civil War for the same reason. Originally prepared by David O. White, Museum of Connecticut History, Connecticut State Library. Edited and revised by CSL Staff, February 2002, May 2010.